God has done so much for me, and throughout my cancer journey I have wanted to give Him the glory He rightly deserves. I didn’t do anything to get well on my own. Yes, I submitted myself to the treatment prescribed by my doctor. Yes, I endured a lot of terrible side effects. But it was God who chose to heal me, just as He chooses “ultimate healing” for other cancer patients – to wake up face to face with Him in glory and never deal with pain or sickness again. But God has been kind to allow me more time to live life on earth – to spend time with my family, to enjoy His marvelous creation, to develop friendships, and to follow His will in obedience. All of that comes from His kindness to me, and I want to make sure that He receives all the glory, not me – none of it is because of my effort but because of His grace! Cancer has taught me to put the most important things first – to first focus on my relationship with the Lord, to love on my husband and son, to really listen to others, and to pursue those things that He is asking of me. I don’t want to settle for second best in any of those areas. I want to make sure that God’s kindness to extend my time on earth is not wasted, but that I make the best use of whatever years He may grant. I will begin radiation next Monday, and I want to use those weeks to pray and consider how this might practically work out for me. How does God want me to give Him glory in these areas? How can I make changes so that I keep the first things first? How can I keep myself from being distracted by things that either don’t matter or are for someone else to pursue? These are big questions, and I don’t know all of the answers. I do know this – I need to publicly praise God today and thank Him for His kindness. What about you? What has God, out of His kindness, done for you recently? The past couple of weeks, I have worked hard to live “normal.” We’ve planted vegetables in our garden, I’ve done the preschool pick-ups, I’ve cooked and cleaned, and I’ve even EXERCISED. And let me tell you, after four months of laying around, I am out of shape! I’m still tired, but it’s a good tired when I fall asleep at night without sleep aids and with the joy of a day well-lived. I’m thankful, so very thankful, for everything that I am able to do, for all the ways that God has sustained us and blessed us. I love the way that Henry is learning about things of faith and trying to apply them to his own life. He knows that God blesses us, and yesterday we were talking about “sharing our blessings.” He said, “But mom, I don’t want to give my blessings away. I might miss them.” So sweet, and what a good opportunity to teach him and remind myself that the more we “share our blessings,” the more God blesses us with. Through this season, we have been so very blessed by God who has carried us, and who has given us blessings in action through our church family and many other friends. We have been given so many blessings that our cup overflows. We are looking forward to sharing with others as God allows. I am scheduled for a lumpectomy on June 4. We would love to have you pray with us that the doctor is able to remove any cancer that may remain following the chemo. I have a great worship song running through my head on constant repeat this week, and I want to share it because our great God who keeps all His promises has given me a peace that is beyond description. His compassions never fail, never fail. I’ve written before about waiting and the Christian life, and this week I read back through some of those posts, thinking about the days between now and my next doctor’s appointment. Because now, we wait. We wait to see what tests and scans will need to be run. We wait to see if the chemo has worked. We wait to see what kind of surgery I will have and when it will need to be performed. We wait to see when radiation will start and how long it will last following surgery. These are some great big unknowns in our family life right now. We can’t make many plans for the summer, because we can’t know about my health and treatment. And for someone who treats planning like a recreational hobby, this is a pretty challenging time. So I find that I need to speak Truth to myself right now. If you are in a place of waiting, I offer this as encouragement to you as well. Because I firmly believe that God uses all my circumstances for my good and His glory, I am on the lookout for what He is teaching me through this cancer journey. Believe me, I don’t want to have to repeat this class! So, with Easter approaching, I’ve been thinking about what the gospel has to say in the face of cancer. We know that Jesus has conquered the grave, that we who know Him will one day reign with Him, and that we no longer need to fear physical death. But is there more? What about the reality of living with cancer, its treatments and side effects, and the fear of the future? Jesus is making all sad things come untrue. Let that sink in for a few minutes. Because we live in a sinful, fallen world, we are surrounded by sadness. We live with the reality of death, cancer, broken families, hatred, racism, and so many more terrible things. But because of God’s wonderful “rescue plan” found in the person of Jesus, ALL of these “sad things” will someday be a thing of the past! Because of the events of the first Easter weekend, we have hope for the future, but we also have hope for today! God is working in my present reality – the cancer itself, and the side effects from the chemo. Illnesses like cancer can cause us to lose hope. It’s a disease that is difficult to beat, eventually taking over every part of the human body if left untreated. We have no natural defenses against it. Chemo can often be worse than the actual diagnosis, killing healthy cells as it tries to kill the cancer cells. Living in that ever-present reality is more than hard. But God had a plan from the beginning of the world. He knew about cancer when he first formed the earth and placed Adam and Eve in the garden. He knew about all of the other diseases we would fight, about all the evil that would fill the earth. And from that very beginning, Jesus was His perfect plan to give us hope. So, this Easter, let’s be encouraged with this: God knows all the hurts in the world. He knows about my cancer, and He knows about whatever evil you are facing. And He is weaving the Story together and making all the sad things come untrue. We have had many sweet friends from our church provide meals for us over the last several weeks – something that has been an enormous help (especially to Chris, because he would be doing all the cooking otherwise) and a special blessing because I get a visitor every few days when I am stuck at home for several days in a row. My friend said that this little bit of eavesdropping reminded her that too often we don’t really want to hear that someone is not doing great. We want to believe that although trials come, suffering is not necessarily a part of the trials. The truth is, suffering will come to everyone at some point in life. It comes in various ways and at various levels of intensity, but it does come. Before I started chemo, we knew from experience with family members who have had cancer that everyone responds to chemo differently. We also knew that there are several different drugs used for chemo, and each has its own set of side effects. Of course, we wanted to believe that I could sail through this with a minimum of difficulties. And, truthfully, things could be much worse. I do have side effects, and after each treatment there are a few days that I cannot function with the rest of the world. I am nauseous, weak, my legs ache, and I just don’t get out of bed on those days. It’s basically like having the flu (without the fever and chills) every other week. But at the end of the two weeks before my next treatment, I rebound a little and feel much better – only to do it all over again every other Monday morning. I think we want to believe that suffering doesn’t happen to others because we are afraid – afraid for our friends, and afraid for ourselves should we ever be in their position. We want to believe that God would spare us because we live a good life, we try to serve Him faithfully, or whatever other reason we can come up with. God builds our character in times of trouble. We mature, and grow up in Him, when we suffer. I pray daily that I will learn whatever lessons He has for me in this season. I don’t want to squander this time, but I want it to be used for my sanctification and to bring glory to God. But it is still suffering. There is nothing pleasant about having cancer. So I want to challenge you this week to be brave. Find a friend who needs you, and ask how she is. Really mean it when you ask, and take the time to listen to the answer. You will bless your friend with your compassion. Pray with her, and then follow up the next time you see her. Let her know you really want to know. This is a non-chemo week for me, which means that, hopefully, I will have a few days when I feel well enough to do things. I want to play with Henry, spend time talking with Chris, and tackle a few items on my to-do list (apparently not even cancer can take away my list-making tendencies). The truth is, at least for today, I still have to pace myself. I cleaned out the toy boxes this morning, and that was just about all the energy I had. But that’s better than yesterday, when my greatest accomplishment was making a peanut butter and jelly sandwich. I want to make sure that my good days count, and the only way to do that is to submit those days and my list to the Lord and ask for His help in ordering my day. Next week I’ll be back in bed for several days, and I want to look back on this week knowing I made the most of every moment I had. We have only heard the beginning of the message of Christmas. That little Baby, born so long ago in a humble stable, grew up. He became a man who spoke God’s Word to all people. He taught us the ways of God. He healed the sick, ate with sinners, and comforted the mistreated. One day, the people turned against Him. That same little Baby who was worshiped by the Magi was beaten and mocked, and was crucified. Where was God in this? What happened to the joyous message of Christmas on that dark Friday? The Good News of Christmas is not just that Jesus was born, but that he died, was buried, and then on Easter Sunday morning, He rose again … so that you and I, and all those who lived before us and who will live after us, who believe His Words, repent of sin, and confess Him as Lord will have eternal life! The message of Christmas is that Jesus was not Plan B for mankind. The message of Christmas is that God loves us so much that He sent His Son to be with us – to be like us. Jesus came to live among us on purpose. He became human on purpose. He died and rose again … on purpose. God sent Jesus to earth so that we could know Him and love Him – and worship Him. This is the message of Christmas! John 1:1-14 In the beginning was the Word, and the Word was with God, and the Word was God. He was with God in the beginning. Through him all things were made; without him nothing was made that has been made. In him was life, and that life was the light of dark men. The light shines in the darkness, but the darkness has not understood it. There came a man who was sent from God; his name was John. He came as a witness to testify concerning that light, so that through him all men might believe. He himself was not the light; he came only as a witness to the light. The true light that gives light to every man was coming into the world. He was in the world, and though the world was made through him, the world did not recognize him. He came to that which was his own, but his own did not receive him. Yet to all who received him, to those who believed in his name, he gave the right to become children of God – children born not of natural descent, nor of human decision or a husband’s will, but born of God. The Word became flesh and made his dwelling among us. We have seen his glory, the glory of the One and Only, who came from the Father, full of grace and truth. Matthew 2:1-12 After Jesus was born in Bethlehem in Judea, during the time of King Herod, Magi from the east came to Jerusalem and asked, “Where is the one who has been born king of the Jews? We saw his star in the east and have come to worship him.” When King Herod heard this he was disturbed, and all Jerusalem with him. When he had called together all the people’s chief priests and teachers of the law, he asked them where the Christ was to be born. “In Bethlehem in Judea,” they replied, “for this is what the prophet has written: ‘But you, Bethlehem in the land of Judah, are by no means least among the rulers of Judah; for out of you will come a ruler who will be the shepherd of may people Israel. '” Then Herod called the Magi secretly and found out from them the exact time the star had appeared. He sent them to Bethlehem and said, “Go and make a careful search for the child. As soon as you find him, report to me, so that I too may go and worship him.” After they had heard the king, they went on their way, and the star they had seen in the east went ahead of them until it stopped over the place where the child was. When they saw the star, they were overjoyed. On coming to the house, they saw the child with his mother Mary, and they bowed down and worshiped him. Then they opened their treasures and presented him with gifts of gold and of incense and of myrrh. And having been warned in a dream not to go back to Herod, they returned to their country by another route. 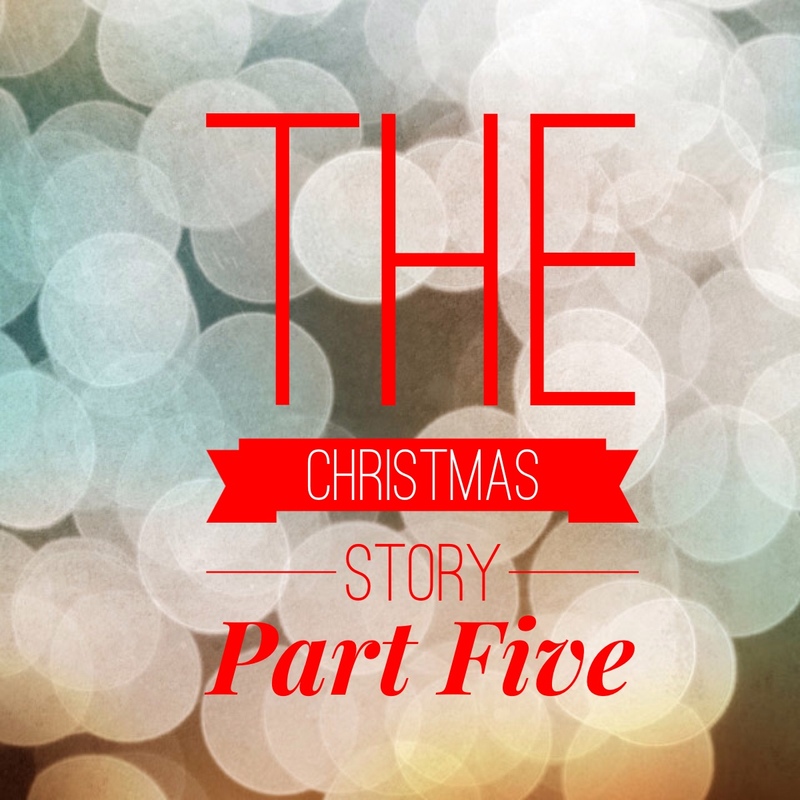 Herod and the Magi were confronted with the idea of Who Jesus really was. 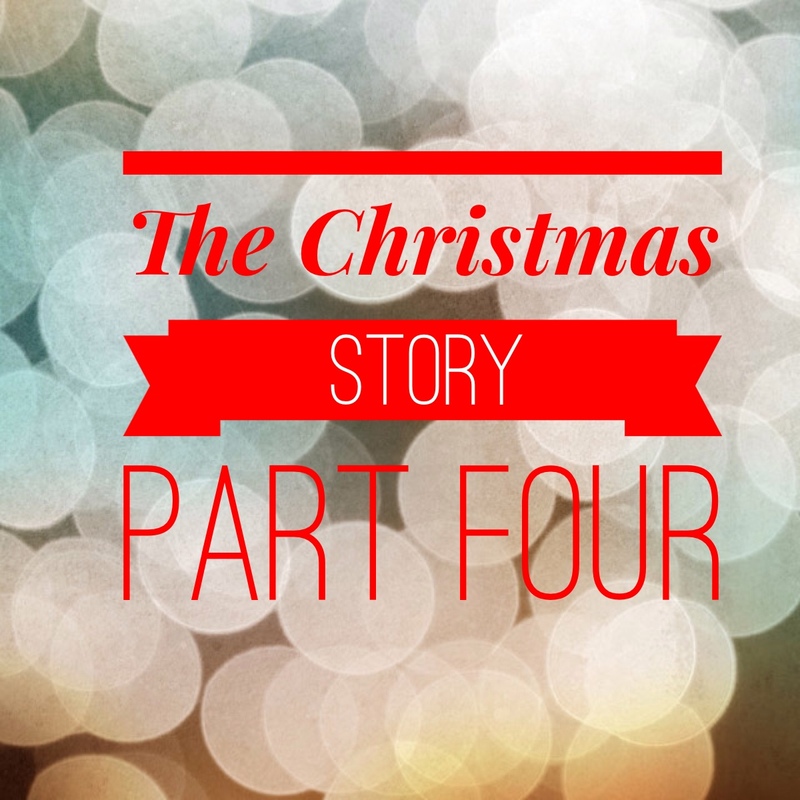 They had to decide if they believed the story of the stars – the King of the Jews had been born in Bethlehem. Herod responded with anger. Known for his violent acts and cruel behavior as a jealous man who worried about his position, Herod believed that the claims of the Magi could be true. His response to the message of Christmas was to stamp it out – get rid of the problem. The Magi were moved to a different response. They sought out the child so that they could worship Him. We do not know that these men believed in Yahweh, the one true God, but they had observed God’s movement in the stars and believed that a King had been born. Jesus’ birth was as misunderstood then as it is today. He came not as an earthly king who would overthrow Herod’s government, but as a heavenly King who would supersede all earthly governments, one day creating a New Order for all who believe. 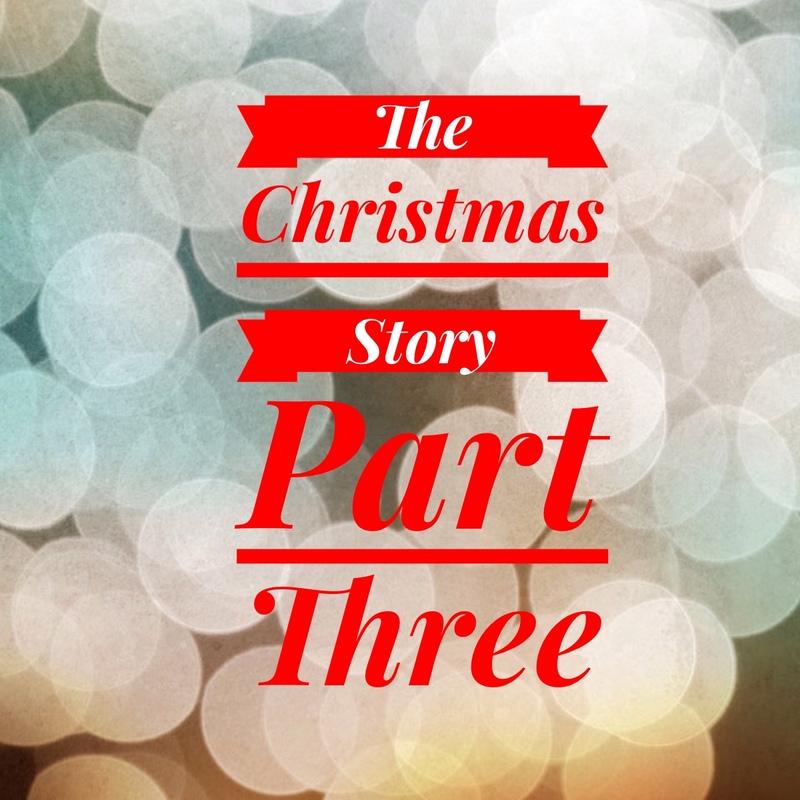 How will you respond to Jesus this Christmas? Will you bow and worship, or will you run from the message of Christmas? I love to watch the Charlie Brown Christmas special every year. I can recite whole sections right along with the characters. I grew up watching it, and it’s just not Christmas without it. A few years ago, we had some fun conversations about which of the characters we see most in ourselves. Someone has suggested that Chris is Linus, not because he carries a blanket, but because he tends to be philosophical and theological.